"Anderson has been improving on grass of late and made the last eight in each of his last two visits to Queen's and on this early season quick grass he can prove a real handful..."
The grass court tennis continues on week 24 of the ATP World Tour, with the Gerry Weber Open and AEGON Championships our two tournaments this week. Philipp Kohlschreiber was really disappointing in Stuttgart in a poor loss to a disinterested Gael Monfils in the quarter finals, having played very well prior to that and the German could also be a key player in Halle. Kohlschreiber has been drawn against Roger Federer in round one of the Gerry Weber Open and that is a really tough opening match of the grass season for Federer, who could easily be caught cold by Kohli. Indeed, Federer's top half of the Halle draw looks packed with quality, while the bottom half looks wide open and much will depend on the outcome of that Fed v Kohli clash. The head-to-head would suggest that the Swiss probably will win it, but the value seems to be in the bottom half, with Kei Nishikori having his best chance yet to make a first ever final on grass. The Japanese hasn't really shown enough yet though to make him a bet at a tight-looking [4.5] and there are plenty of big-priced alternatives in that section. Monfils is likely to display his usual couldn't care less attitude, which brings the likes of Lukas Rosol (who one layer put up at [275.0] initially), Jerzy Janowicz, Dustin Brown, Andreas Seppi and Tommy Robredo into the mix. However, Robredo hasn't made a quarter final since 2007 on grass, while Seppi was walloped by Mischa Zverev last week in Stuttgart and has been injured, and Janowicz isn't consistent enough to win titles, and neither is Brown. So, the qualifiers will be of interest there and Alejandro Falla looks one to watch, placed in that bottom half and defending points from a run to the final last year. Over in London at Queen's Club we also have a loaded top half of the draw at their newly upgraded ATP 500 event (as is Halle) and it could be worth chancing some big-priced options in Barons Court. Former three-time champion Andy Murray is drawn against his Wimbledon conqueror of last year Grigor Dimitrov, plus other former titlists Sam Querrey and Marin Cilic, and last year's finalist Feli Lopez. John Isner and Stuttgart finalist Viktor Troicki are other possibles in that half and all of the winners of Queen's Club from the last six years are in that section of the draw. So, it's not the easiest of draws for Murray by any means and he'll be looking to avoid another shock loss here like the one he suffered a year ago to Radek Stepanek. It is Murray's turn to win in a sense, as he won it 2009, 2011 and 2013, so it would carry on the sequence, but he's too short for me here. All of which makes the bottom half the place for value seekers and French Open champion Stan Wawrinka, who rarely goes well on grass, can be overlooked in my view. Only Rafa Nadal in 2008 has done the French Open/Queen's Club double since Ilie Nastase achieved that feat way back in 1973 and it's a tall order to ask Wawrinka to do it after that Paris effort. Stan's draw is also tough, with Nick Kyrgios first up and Kevin Anderson likely to be next then probably Nadal, so for me Wawrinka should be a much bigger price than [9.0]. 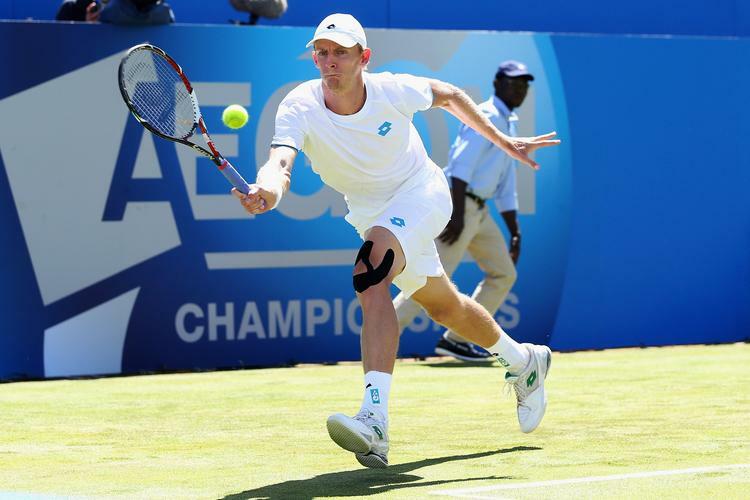 Anderson has been improving on grass of late and made the last eight in each of his last two visits to Queen's and on this early season quick grass he can prove a real handful, assuming he isn't stunned by old warhorse Lleyton Hewitt in round one. Kyrgios is the other, more obvious, option, but he's been struggling with injury and that seems less of a value price at [34.0] than the [65.0] about Anderson. Milos Raonic is in the adjacent quarter, but given his questionable results on grass and lack of matches after injury he's overlooked, and Frenchmen Richard Gasquet and Jeremy Chardy seem better choices at the prices. Gasquet hasn't played Queen's since 2010, but he did make the final of Eastbourne last year on early season grass, losing out to Lopez, and after a decent clay swing following injury he could figure at [51.0]. Chardy had a confidence-boosting French Open where he played some superb tennis and since Wimbledon 2012 he's only been beaten on grass by Wawrinka, Novak Djokovic, Cilic, Lopez and Querrey. A price of [101.0] also looks tempting on Chardy, but they must all beat a determined-looking Nadal, who surprisingly won Stuttgart, and could easily make the final here. He can be vulnerable early and I wouldn't be stunned to see Alexandr Dolgopolov beat him, but if the Dolgo doesn't then Rafa has a cosy-looking round two. So, it looks a week for avoiding the packed top halves of the Halle and Queen's draws and taking a chance on some better value down at the bottom and there are several to choose from.